THE extensive renovations have been completed and a change in life’s direction has lead to this stylish home being listed on the property market. In immaculate condition, enjoy an incredibly peaceful lifestyle within the lush landscaped gardens surrounding this over 900 m2 block. 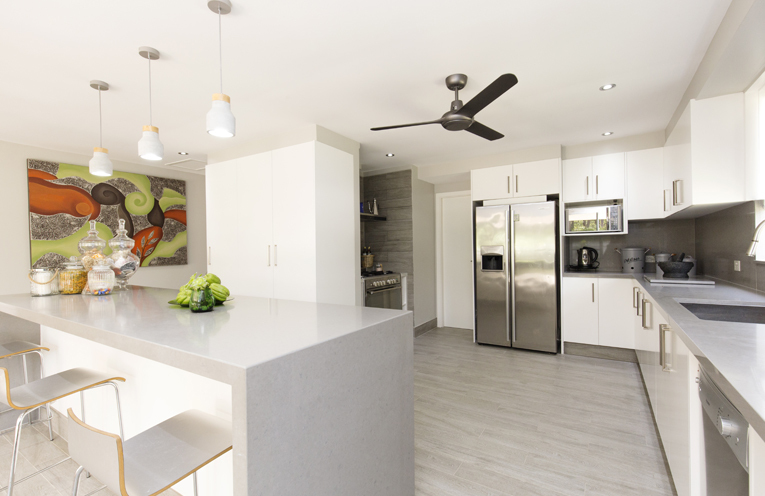 With entertaining paramount in the design of the renovations, an enviable kitchen boasts 40 ml caesarstone waterfall benchtops, a designer oven nook, plenty of cupboard space plus a bonus walk in pantry running the width of the kitchen. A vast entertaining deck extends off the kitchen and is accessed also by the open plan living and family areas. Enjoy some relaxing water views and a peaceful bush view from the comfort of the lounge area, a deck has been added to maximise the views. A master suite offers a stunning, modern ensuite and large dressing area with wall to ceiling shelving. Two more bedrooms have large built ins and share a second bathroom. Built in clean grey and white tones, with concrete features, this home is easy to maintain and could be that holiday home with the wow factor, a permanent residence, or a great investment to add to a property portfolio. 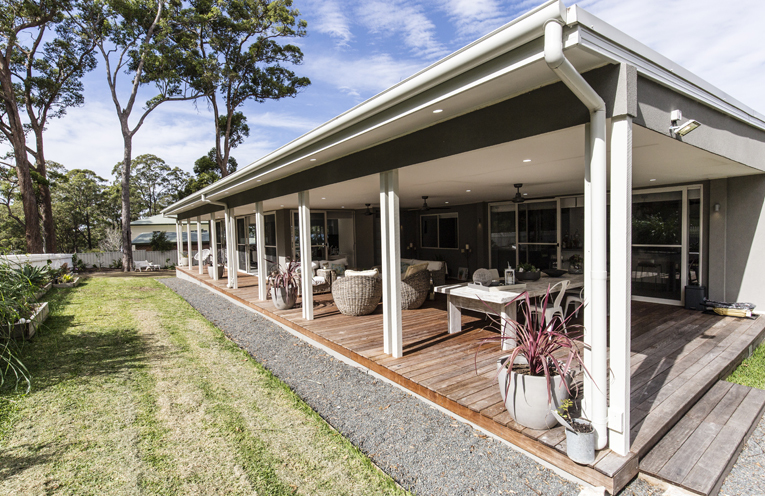 North Arm Cove is only 45 minutes from Newcastle, Nelson Bay and the Hunter Valley and an easy drive to and from Sydney. Inspections by calling Stuart Sinclair from Ray White on 0488 133 998.